According to sources involved with the show, DeGeneres feels that she has to come out of the gates exceptionally strong, especially in light of Simon Cowell’s imminent departure. 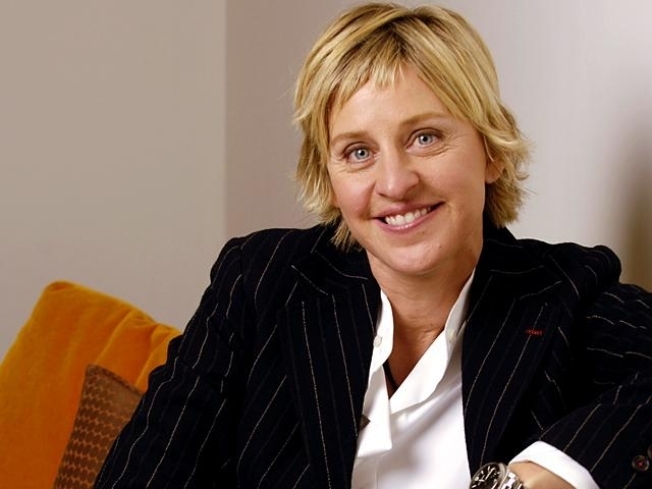 Ellen DeGeneres is wasting no time trying to make her mark on “American Idol.” According to multiple sources involved with the show, DeGeneres feels that she has to come out of the gates exceptionally strong, especially in light of Simon Cowell’s imminent departure. Other outlets are reporting that production quality isn’t the only area that DeGeneres is focusing on. “Ellen is insisting that her wife, Portia de Rossi, be a guest judge in a future episode,” according to In Touch Weekly. She’s also pitching to go on a media tour with fellow judge Randy Jackson. “She wants to do public appearances with Randy so that people will think of her more seriously as a music insider and not just a talk-show host,” according to the magazine. Dental surgery was the cause of rapper Lil Wayne’s (aka Dwayne Michael Carter Jr.) delayed sentencing on an attempted gun possession charge. Reportedly, he underwent eight root canals and also had work done on his infamous grill, which set him back $150,000. It got people thinking: Are there rules about going into the clink with diamond-encrusted teeth? Thank you, Jeremy Singer-Vine of Slate for getting to the bottom of the dental dilemma. “No written rules appear to govern the permissibility of dental implants in prison. Neither the Federal Bureau of Prisons nor New York City's Department of Correction explicitly regulates them. Yet it seems like Carter might have a tough time justifying his gaudy chompers to the warden,” Singer-Vine wrote. Apparently, prisons don’t like it when you bring in things — such as jewelry — that can lead to barter, prison brawls and the like. At Rikers Island in New York City, where Lil Wayne is likely to serve out his sentence, “inmates are restricted to one watch cheaper than $50, one wedding ring with a maximum value of $150 and one religious medallion worth less than $50. Neither the ring nor the medallion can have any ‘stones’ or ‘protrusions,’ a rule which would certainly be violated by Carter’s bedazzled grill,” said Singer-Vine. On the surface, that sounds like it wouldn’t bode well for his jaw of jewels, but there is something that works in Lil Wayne’s favor: Unlike a ring, his grills aren’t removable.